Based in Washington, D.C., Eckert Seamans’ Aviation Group confronts new and complex legal issues that cross industry sectors, borders and continents. Our attorneys provide our broad client base with trusted counsel and representation in regulatory and legislative issues, transactional and corporate matters, litigation, employment, intellectual property and other commercial matters. Attorneys in our Aviation Group have served in leading positions in international civil aviation bodies, and have a comprehensive understanding of the industry’s unique legal challenges. Our cross-disciplinary aviation team provides trusted counsel and representation to aviation and aerospace clients across the world, including U.S. and foreign airlines, airport operators, cargo handling companies, and trade associations. We also consult on other legal matters affecting businesses in the aviation industry, including tax, antitrust issues, OFAC sanctions, environmental issues, bankruptcy and restructuring, insurance and security and facilitation. Our Aviation Group counsels domestic and foreign airlines on regulatory matters before numerous federal agencies, including the U.S. Department of Transportation, the Federal Aviation Administration, Department of Justice, Department of Homeland Security, Transportation Security Administration, National Transportation Safety Board, Bureau of Customs and Border Protection, U.S. Trade and Development Agency, U.S. Department of State, and U.S. Department of Commerce. We counsel clients on issues such as airline codeshare and alliance partners, open skies, foreign ownership, computer reservation systems and global distribution systems, anti-corruption, export controls, economic sanctions, hazardous material transportation, lease agreements, user fees, advertising, tarmac delay and accessibility issues. Through proactive government relations strategies, Eckert Seamans and lobbying groups team up to assist clients through policy challenges and advise on upcoming legislative and regulatory matters. Our attorneys attend congressional hearings in support of our clients and prepare comments on proposed regulatory measures. Our attorneys have many years of experience in representing airlines in the purchase, leasing, and financing of new and used aircraft, engines, and related equipment as well as advising them on general corporate matters. We also prepare and review contracts regarding airports and terminals, travel agents, wholesalers, charters, maintenance, and spare parts. Eckert Seamans has also been an active participant in the growing trend to privatize public infrastructure through long-term public-private partnerships, or P3s. This experience adds significant value to transportation and other infrastructure-related projects on which we advise based on our proven ability to assess the political landscape, reach out to key decision-makers, advise on regulatory requirements, assist in structuring and securing funding and financing and expedite the project development process, while continually providing general legal and strategic counsel. The firm has a strong history of representing entities in the privatization of assets and infrastructure, e.g., utility systems, real estate, nursing homes; as well as public and private colleges and universities. Additionally, the firm offers key contacts with leading financial advisors, asset operators and equity investors. 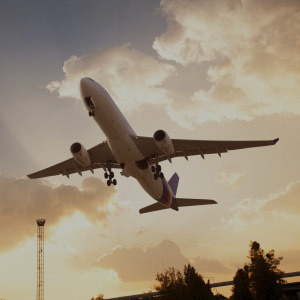 Our aviation attorneys have litigated numerous aviation cases in state and federal trial and appellate courts and agencies and have represented airlines in all forms of alternative dispute resolution, including international arbitration proceedings. We have established legal precedent favorable to foreign airlines on such matters as jurisdiction of U.S. courts over non-U.S. companies; the Foreign Sovereign Immunities Act; export controls; the Warsaw and Montreal Conventions and the extraterritorial extension of U.S. laws. Our litigators also regularly represent insurance companies regarding coverage matters and opinions, contractual claims, bad faith and fraud claims, defending cases and providing litigation avoidance advice. Eckert Seamans provides full-service representation in all facets of employment and labor relations. Our team of employment litigators has substantial jury trial experience and a track record of successful outcomes in courtrooms throughout the United States. Our lawyers also provide counseling and dispute-prevention assistance by reviewing and drafting personnel policies, handbooks and other employment documentation. We regularly plan and guide employers through reductions in force, exit incentive or early retirement programs, individual termination or disciplinary actions and the administration and implementation of policies to comply with federal and state laws. The firm engages in the full spectrum of practice in this specialized area of the law, including U.S. and foreign patent, trademark, copyright, trade secret and unfair competition law, and the negotiation, preparation and enforcement of a variety of related agreements such as license, assignment, consulting, employment, nondisclosure and joint venture agreements. Preparing and reviewing contracts with travel agents and wholesalers, charter contracts, and maintenance and spare parts. Negotiated Rulemaking in the Context of Part 382: A Worthy Alternative to Traditional Rulemaking or an Impossible Dream? For more news & insights from the Aviation Group, visit the Aviation Blog.